In 2017, it’s estimated digital comic sales made up about 9% of total comic sales. While paper comics are still more popular, digital comics have similar advantages to those of ebooks. They can be read on tablets and smartphones; they’re easy to store (versus paper comics); and they’re convenient. 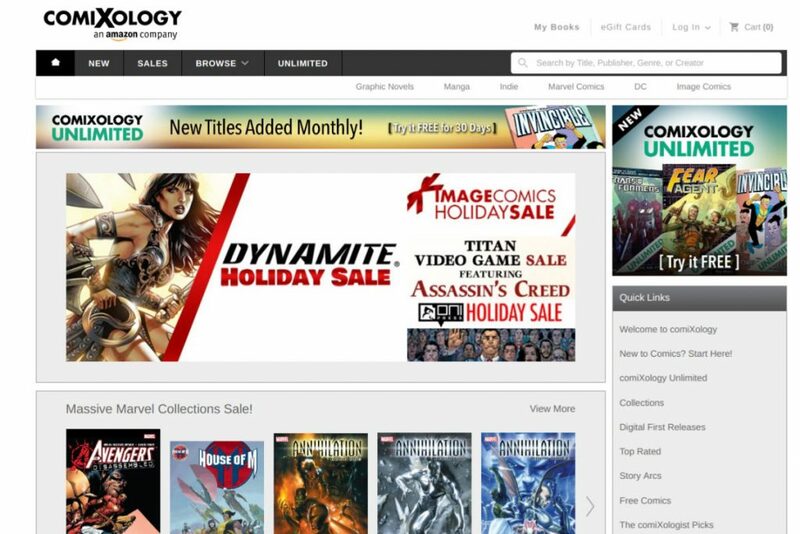 Comixology is the dominant digital comics store, and holds a major influence on the digital comics landscape. 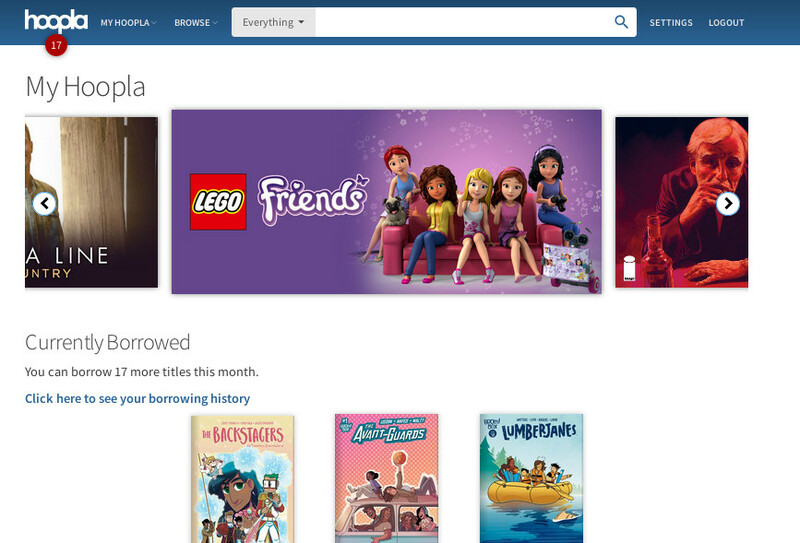 The Amazon-owned service carries nearly all of the major North American comic publishers. These include the “Big Two” (Marvel, DC), plus Image, Archie, IDW, Boom! Studios, and others. Comixology carries single issues, graphic novels, and trade paperbacks. They’ve also started to carry a wider selection of manga. Comixology offers apps for Android and iOS devices, as well as a web-based reader for desktops and laptops. For those concerned about digital rights management (DRM), most of the digital comics sold through Comixology offer DRM-free backups. The main holdouts at this point are DC, Marvel, Dark Horse, Boom, and a few smaller publishers. There’s little hope of the Big Two (who’re owned by massive media conglomerates) changing their minds, but otherwise, digital comics can be a DRM-friendly experience. Sales and discounts on Comixology’s comics can also be found, especially around holidays. Comixology offers its own subscription service, Comixology Unlimited. However, despite its name, Comixology Unlimited more closely resembles Netflix. Books are limited to a few particular runs or issues. The service costs $6 a month, and comes with a 30 day free trial. Subscribers also receive a 10-15% discount on Comixology comic purchases. Initially, Comixology Unlimited was (ironically) limited in the publishers offered. However, the service now carries books from most major publishers, including the Big Two. Amazon offers Kindle versions of graphic novels and trade paperbacks. They’re sometimes at a cheaper price versus the same books through Comixology. Comixology’s app also allows users to import Kindle books bought on the main Amazon site. This keeps all your comics purchases available in one place. 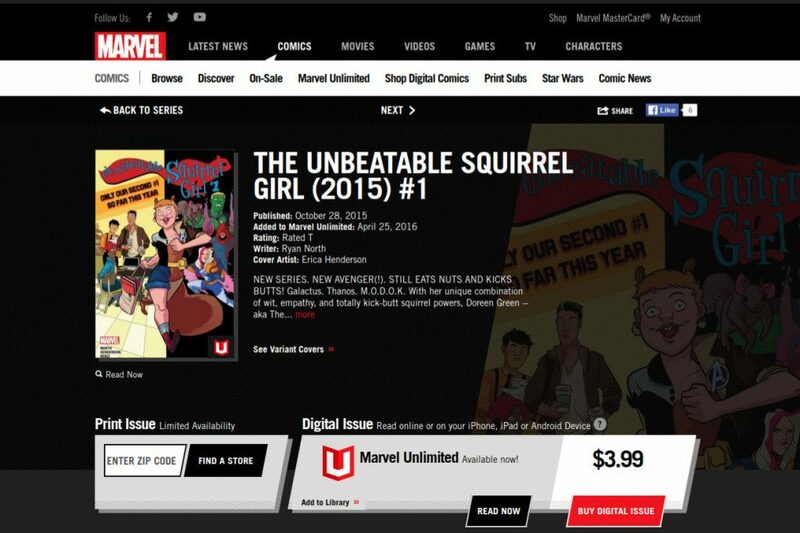 Marvel Unlimited is a digital subscription service that costs $9.99 a month, or $69 a year. Users get access to most Marvel comics published up to six months behind the current month. The selection of books thus range from classic Golden and Silver Age titles to recently published crossovers. I’ve written previously about Marvel Unlimited, and find it very useful. DC Comics now has its own digital subscription service, DC Universe. The service offers access to thousands of DC titles, from the Golden Age through the present. While it’s a newer service than Marvel Unlimited, DC states it plans to add thousands of books in the future. Additionally, DC Universe also offers a large library of DC Comics-based TV shows and movies, from “Super Friends” to “Batman: The Animated Series.” This is one big difference from Marvel Unlimited. Subscriptions cost $7.99 a month, or $74.99 a year. Hoopla is a free digital media service many public libraries offer. Along with films and TV shows, Hoopla also offers a large variety of digital comics. The digital comics include single issues and trade paperbacks from most major publishers, including the Big Two. The comics can be read either through a web browser or within the Hoopla app; the app offers a Comixology-like panel-by-panel viewing feature. New material’s added frequently, often keeping pace with availability on Comixology or similar services. There’s a monthly limit to how many digital comics may be checked out; the limit varies by library. With my library, it’s 20 checkouts a month. Overall, if your library offers Hoopla, it’s a convenient way to read a variety of comics for free. Humble Bundle is a service that offers various video games, digital books, and (for the purposes of this post) comics. The comic selection changes every few weeks, with the books bundled by a publisher, franchise, or theme. The books are available as DRM-free files in several formats. Customers can pay as little or as much as they want; the minimum is $1, but higher amounts will unlock increased selections. Archie, Image, IDW, Dark Horse, and others have offered books through Humble Bundle. 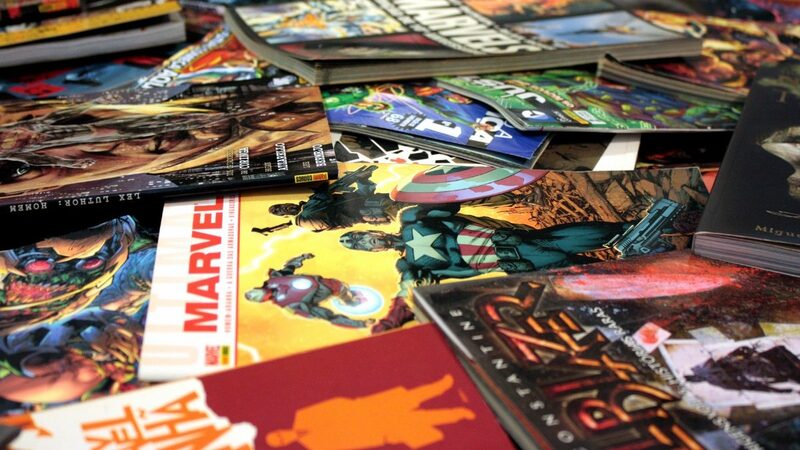 For Humble Bundle and similar sellers of downloadable digital comic files, you’ll need a stand-alone comic reading app. Examples include MComix (Linux), Simple Comic (MacOS), and Perfect Viewer (Android). Which digital comic services to use? As you can see, there are many digital options available. Here’s my suggestions. If you’re looking to buy single-issue comics, I recommend Comixology. It’s popular, easy to use, and carries nearly all popular publishers. DC/Marvel fans will want to stick with Comixology, if they want each Wednesday’s latest issues. If you’re looking to buy trade paperbacks/graphic novels, I recommend either Comixology or Amazon Kindle, depending on price. If you’re a Marvel fan, are fine with renting (versus buying) comics, and can wait six months on new issues, I recommend Marvel Unlimited. It makes catching up on (very expensive) crossover storylines quite affordable. Similarly, DC fans will want DC Universe. While there’s a year-long wait on recent issues, the service also comes with DC-based TV shows and movies. Hoopla will interest public library users. Hoopla’s a convenient way to read a variety of comics for free. Humble Bundle is another cheap option for a variety of comics, if one doesn’t mind a selection tied to a specific theme or franchise (such as “Transformers”). Next Post:Blog status update (April 2019): WordPress alternatives?